Have you ever wondered if your voice has value? Have you ever worried that you will never be successful with your music or speaking career? Check your pulse, you're human. Most people who choose to work in any of the arts struggle with questions of validation. Encouragement, acknowledgement, attention, applause, approval - these are like sunlight to the vulnerable, creative spirit offering up what it just made for the sometimes cruel and/or ignorant contemporary opinion. We can control what we choose to create, but not how our creation will be received or perceived. A chance encounter with a painting from Van Gogh gave me a perspective that I'd like to pass on to you. I was visiting the house of my friend string player/arranger Kris Wilkinson several years ago with a young singer/songwriter I was vocal coaching and producing. We brought tracks to Kris to get her string magic on them, and when we entered her house we noticed a print of a painting of shoes by Vincent van Gogh on Kris's wall. As we studied it, Kris shared one interpretation of why he painted these oddly beautiful dilapidated old shoes. He lived with his brother and was too poor to afford a live model, so he used what he had on hand. Common objects like flowers and shoes were etched into art history by his master hand, but mostly ignored by his contemporaries. Van Gogh considered his work valueless. During his lifetime, he was essentially a commercial failure. Now, of course, those works are considered priceless. A singer named Eva Cassidy had a similar fate. During her lifetime, she sang cover songs in clubs and small auditoriums, and recorded them in a barter for dog-sitting services she offered the engineer. After she died from cancer, those recordings became a worldwide success. Her iconic renditions of "Somewhere Over The Rainbow", "Autumn Leaves" and other cover songs were internationally acclaimed and her "demos" chosen for soundtracks of several hit movies. My young artist almost cried at the injustice that neither Van Gogh nor Cassidy knew the value of their work, because it touched her own insecurity. What if she, too, never experienced success with her music? We CREATE something that we intuitively KNOW is good - a vocal, a song, a speech, a performance. but we DON'T rely on popular opinion or current market forces to rate our work or determine the final form we settle on. What if we are willing to ACCEPT that we may never in our lifetime know the full value of this work. What if we TRUST that if we create something good the best we can, IT IS VALUABLE? The value of music or any other art cannot be determined by the initial marketplace reaction to it. There are forces we can't control, including the ripple effect, the ears of the future, the compound effects and "luck" - the hand of the Creator that assigned us our muse in the first place. The only thing we can do is to persistently choose to create something good, excellently. The voice only exists to deliver messages, so vocal 'good' has to do with the power and importance of the message carried. The Grammys, CMAs, Doves, record deals are gravy, mostly awarded to artists who didn't limit the originality of their work to that which would win a current competition. But as far as the intrinsic value of your work... bravely create your best. If you want to make it commercially successful, market and promote it with due diligence (see my 3-part series about What Record Labels Want, Steps To Attracting Label Interest and Creating Fanbases ). But no matter what the financial rewards or critical acclaim garnered, trust that your good work created excellently is a priceless part of the music of the spheres. Oh, and yes... my young artist now makes a good living in music, an acclaimed success as performer and teacher. This is the final post in this 3-part series. This one will be on creating the main music business asset that record labels look for... a large, obviously growing and potentially huge fan base. Do a video on one of your songs that best reflects your artistic definition. Put it on Youtube, your website and every other video site you can. Create an EPK (electronic press kit). You'll need a great bio, press clippings, venue endorsements, if at all possible, make a video for it. Keep the info current. Get your artist website done!! This will be your hub for all things internet. Make sure it includes a subscription box to capture email addresses in a database. Use one of your recordings as a free mp3 to offer in exchange for their email. Create Facebook, Twitter, RevebNation and Google+ pages which you will use to draw in and connect with your ideal audience/ listener/record buyer/show attendee. Always link back to your own website! With your web infrastructure in place, book live performances any where you can and continue to grow your fanbase, capturing email addresses whenever possible. Collect press, testimonials and pictures from venue owners and bookers, etc. Update your EPK and website as you get more to talk about. At your shows, sell your recordings, and merch if you have it. This is a good way to keep your voice and your likeness in front of people after the show. When you own your own tracks, you can do sync licenses with movie and TV music supervisors and get some visibility in this way. (This is a huge subject). You can extend your fanbase if you place highly in those big TV talent shows. Just consider the source and never assess your true artistic value by the outcome of a contest. It is best to get an industry insider who believes in you as an artist to pitch you to the labels. Use your recording, press kit and hopefully create some ‘buzz’ from your shows to stair-step network with these industry insiders. Do your due diligence and choose some people who have the integrity, respect, position and clout to present yourself to. 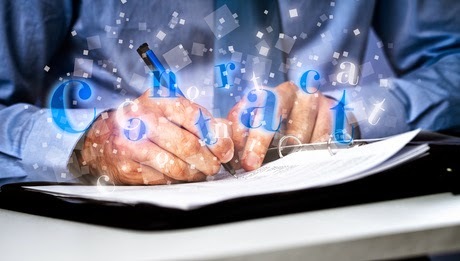 NEVER SIGN ANYTHING without consulting a good entertainment attorney, bringing any paperwork on any you are considering! There are many pitfalls good counsel can protect you from, such as labels who will just take your money, tie you up away from the competition and put you on a shelf for a few years before dropping you. Do create your own value. Do create your own career path... and think way outside the box. Do some brainstorming with a small circle of advisers to expand your thinking. Do gather and head the advice of your team of professionals as you need them. Do go for the win/win - for the label and you the artist! and finally... make sure you actually need the record deal you're considering! Your physical, mental, emotional, social and secure well-being comes first. I don't believe in sick, unbalanced, sorrowful, failed human beings becoming artists. What's the use? Your wellness will help you not only survive the music business but also create real and lasting value in your work. When you can make music that counts, the Grammys are gravy. 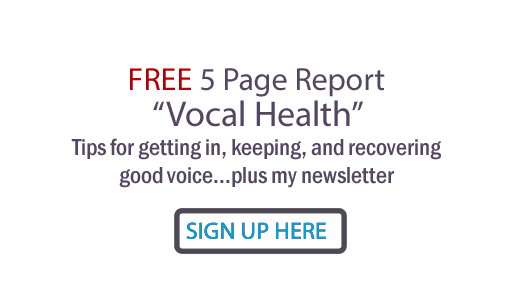 Your voice - Find, heal if necessary, optimize and protect what I would suggest is your primary asset. Train it to be the very best it can. If you can't find a professional coach, try Skype lessons, if you can't afford training, dig into free online information in videos and blogs like this one. There is a way. Your studio skills - Know how to do your absolute best in the vocal booth! Study my recording guide "Singing In The Studio" to be prepared. Get experience in the studio every time you can. Your stage performance - Understand and study everything you can about performing. Consider taking lessons from a stage performance coach. Get experience on every stage you can. Your musicianship - Again, train and practice to raise your abilities on any instrument you'll want to play on stage or use for writing. Your creativity - study songwriting, either formally or informally by dissecting hit songs in your genre. Why are they hits? What can you learn from them for your own unique writing? Write as much as you can, and try to co-write with people better than you. Consider media training - learn how to do effective interviews and relate to the public onstage. Who are you and what do you know that could be of value to others? Where does your heart, voice type and talent converge? What do you create, love and perform best? Take the time to experiment, discover and push your boundaries. There is no substitute for actual studio and stage experience. The audience reaction becomes a part of your artistry. Consider enlisting the aid of reputable talent development or a&r experts. Give some thought to a developing a consistent visual representation (style). If you're a songwriter, create your best body of work. Consider finding co-writers you can write with who can augment your skills and create more GREAT, not just mediocre, songs. If not, find other great songs that fit your personality, voice and artist definition like a glove. Network to find someone who can recommend you to writers and publishers. If they believe you are about to do a great quality recording on their songs they will have reason to offer you their best works. Decide to do either a demo to pitch to labels, or a fully mastered, packaged, ready-for-sale project. Figure out how you will fund the project. You'll need the best quality of recording you can afford if you want to be commercially viable and attract a good fan base and label. Seek out an 'angel investor'. Make sure you know what they want from you if they decide to invest. This goes for musician friends doing work on 'spec', family and friends, too. Upfront negotiation and possible paperwork keeps misunderstanding from destroying relationships. You could launch a crowdfunding project such as Kickstarter or Indiegogo. Be prepared for the research you must do to create a successful campaign. It's a bit of a catch-22; you need a certain level of fanbase to choose to fund you. Record fewer songs really well rather than more songs with mediocre quality. Quality demos can be done with just guitar or piano and voice. Choose your recording producer. A great producer can make all the difference in the budget efficiency, creative uniqueness, sonic quality and commercial viability of your product. He or she can help you choose your team and consult on options such as mastering, packaging and duplication. Choose the songs for your project. A small team of trusted advisers including your producer can help you decide on the final list. Get your licenses in place. You don't need them for demos used to just pitch yourself, but If you intend to release and sell your recording to the public, you must get and pay for mechanical licenses on each song! Don't risk recording a song you're not allowed to sell! It doesn’t cost much, less than 10 cents ($.091) per copy at this writing, but you must do this paperwork. You must collect all your co-writers' publishing info, and for outside or cover songs, research and contact those writers and publishers. For original songs you don't own 100% rights to, do a mechanical with each publisher. To record cover songs that have been hits, you can usually search out and get licenses at the Harry Fox Agency. do instrumental tracks first... get rough mixes and sing with them for a period of time (weeks if you can) so you can experiment with your voice on them. do your lead vocals and backgrounds plus any added instrumental overdubs. master (an important step for commercial quality sound). NOTE: your mastering engineer will need the sequence of songs you want on the final CD. Do a photo shoot (again get as good quality (professional photographer if possible) as you can afford). Make sure you put contact info on the package... preferably as a link to your website (see below), and a link to your booking agent. The saying is true… you don’t get a label deal until you don’t need one except to grow your already large fan base and prospering music business. Under your own small label, use can use your recording and your shows to create your base in concentric circles.